Trees and plants are superheroes in the fight against climate change. They are carbon sinks – systems that absorb and store carbon dioxide from the atmosphere. As the world looks to curb rising carbon emissions and avoid the worst impacts of climate change, avoiding deforestation and increasing the amount of carbon that existing forests can store has become a global priority. You may have heard about REDD (Reducing Emissions from Deforestation and forest Degradation – more commonly referred to as Avoided Conversion in Canada), and IFM (Improved Forest Management) projects, which enable this enhanced sequestration and allow project developers to earn carbon credits that they can trade or sell domestically or internationally. I recently had the pleasure of facilitating a series of workshops in Alberta that considered the most challenging aspects of quantifying and crediting the storage of carbon in forests. One topic that emerged gives me pause as I curl up in front of my wood-burning fireplace this winter: is that log I’m burning helping or hindering the fight against climate change? Conventional wisdom (for carbon accounting geeks like me) is that carbon dioxide released from burning biomass like logs is not a ‘net’ source of greenhouse gas (GHG) emissions – it doesn’t add to the total amount of carbon in the atmosphere because, once a tree is replanted, the carbon is extracted from the atmosphere. This is different from fossil fuels; that carbon has been locked up for millions of years, so releasing it adds to the total amount in circulation. As a result, switching from fossil fuels to biomass fuels is a common approach used to address climate change. However, in recent years this assumption has been increasingly questioned. At issue is how long it takes before the carbon released by burning is extracted back out of the atmosphere after replanting. For biofuels produced from annual crops like corn and soybean, the time cycle is short – one growing season. However, it can take many decades for a sapling to grow into a mature tree. This temporal disconnect is referred to as carbon debt – as the replanted tree grows, it slowly pays off the debt previously incurred by burning the wood. In the meantime, the carbon that was released is trapping energy and warming our planet, just like carbon from fossil fuels. When you consider that burning wood emits roughly twice as much CO2 as an equivalent amount of natural gas (and even a little bit more than burning coal! ), it becomes even more concerning. 1. Use waste wood (e.g., offcuts, sawdust), either directly or in wood pellet form. If this wood is being harvested for other reasons (e.g., wood product production), the associated carbon is likely headed for the atmosphere anyways. You burning it doesn’t change that. 2. 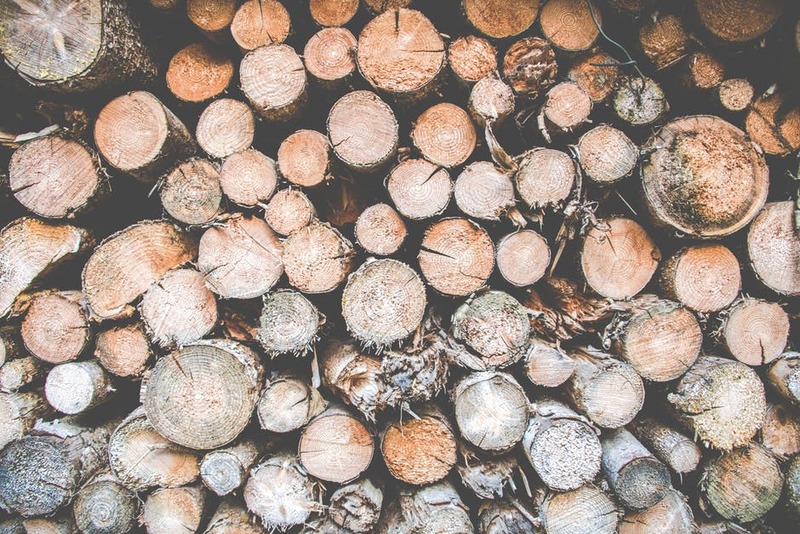 Use wood harvested from areas being actively managed to increase carbon sequestration, such as forest carbon offset projects. 3. Source sustainably harvested wood – if the trees aren’t being replanted, then the carbon debt is never repaid. Crown-owned forests in Canada are all sustainability harvested, but there is no such requirement for private forests. FSC and other certifications can help. 4. Consider the full lifecycle of a fuel (something I have ignored in the above discussion) – some fuels can have appreciable ‘upstream’ GHG emissions associated with producing and transporting them, whereas others (such as locally-sourced wood) do not. 5. It is always best, both for the climate and your wallet, to reduce the amount of energy you consume, regardless of the type. Carbon debt repayment or carbon sequestration parity?